With a size of more than 5000 sqft (+ office and digital production facilities), our Studio has more than enough room to let your creative juices flow freely! 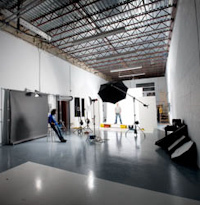 The Studio is equipped with full kitchen facilities, a loading dock, make-up and change-room, and features 20 foot high ceilings. 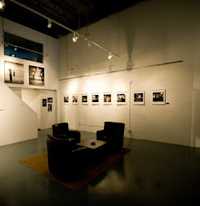 Our VPW Studio is only 5 minutes from beautiful downtown Vancouver! Please note: As we are a commercial studio and workshop facility, we are open to the general public by appointment only. This is so we can maintain a professional environment for client shoots. Thank you. Metered street parking or pay parking lots are available in the area. Closest Skytrain stop: Main Street/Science World. For bus routes: Use link below. If you have any questions regarding our facilities or locations, please do not hesitate to contact us. We look foward to helping you Achieve Your Vision!